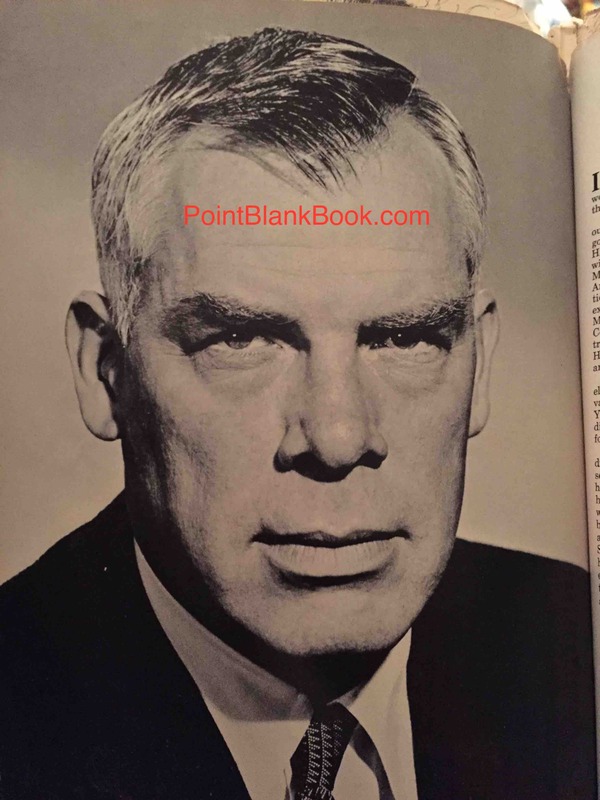 Despite the publication Lee Marvin Point Blank back in 2013, every now and again I still come across some frustratingly incorrect information regarding Lee Marvin and his career. The most recent example is an old film encyclopedia entry that is both snarky and incorrect in its facts. It came out around the time of Marvin’s breakthrough success in both Cat Ballou and Ship of Fools. Granted, in the grand scheme of things, to paraphrase Clint Eastwood in Heartbreak Ridge, it doesn’t matter a flea’s fart in a windstorm but it is aggravating to one such as I when having devoted nearly two decades to researching the man’s life and work! What grinds my gears is such snarky statements as his Oscar win being for “One of the most trivial roles in his career.” And that’s the introductory paragraph! It then goes on to state that Lee played football while attending St. Leo (he didn’t) and that he didn’t do any drama at St. Leo (he did). It talks of his wanting to work on Wall Street, that Henry Hathaway saw him on TV and then wanted him for You’re In the Navy Now, that the role of Kid Shellen was ‘barely’ written….Ugh! It’s enough to drive a film historian to sobriety! Don’t just take my word for it. Read the entry below compared to the work I did in Lee Marvin Point Blank and see for yourself. I’m surprised they didn’t mention that Bob “Captain Kangaroo” Keeshan saved Lee’s life in WWII. Yeah, it’s that bad…. No, it’s not Boris Karloff. It’s Lee Marvin in a p.r. still from SHIP OF FOOLS (1965) used as an image for the film encyclopedia’s entry on the actor. 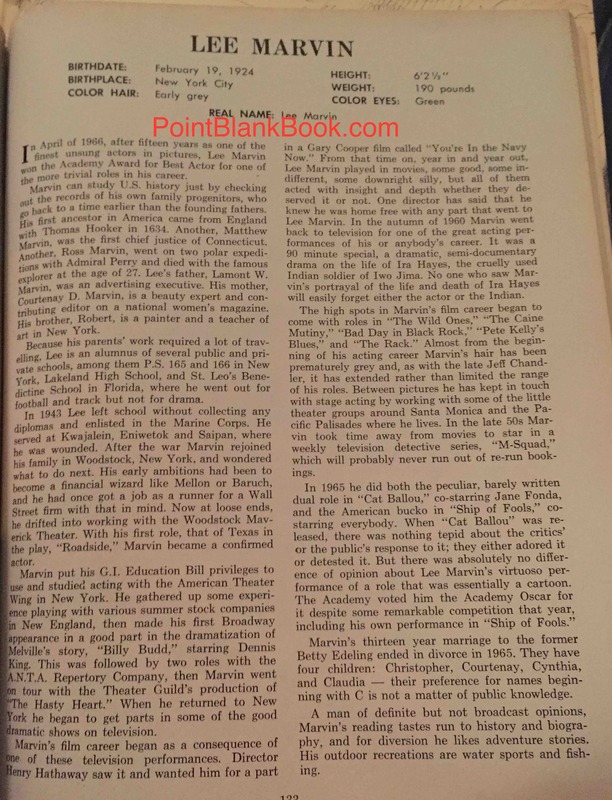 The film encyclopedia entry on Marvin that got almost as much wrong as it did right.